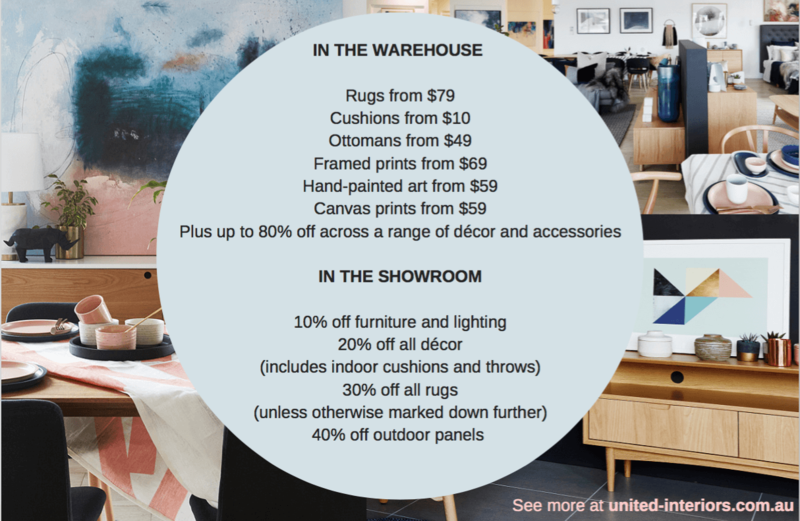 Shop In(terior) Style at the United Interiors Grand Opening Sale! 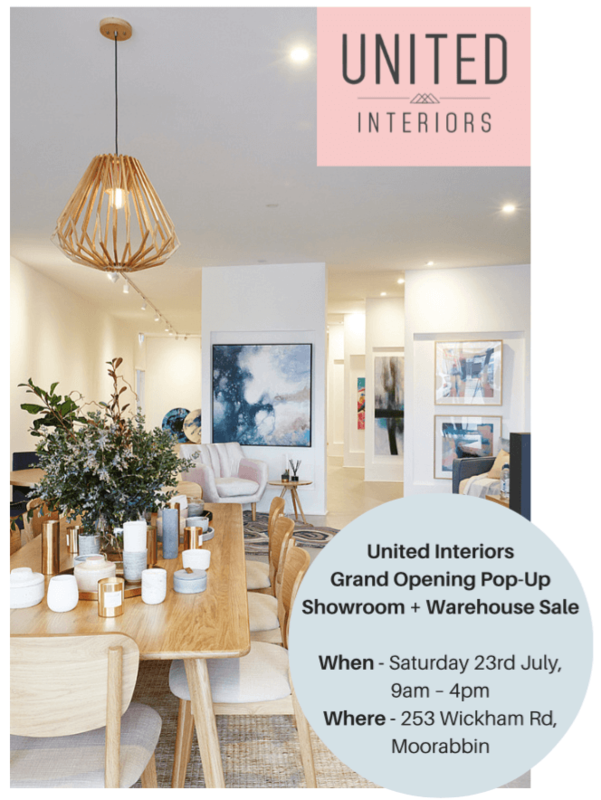 Come help us celebrate the grand opening of our new United Interiors showroom and shop the latest interior design artwork, decor and rug collections in person! 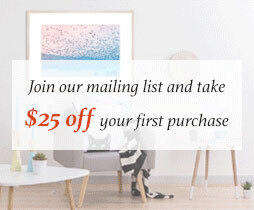 Experience our online marketplace in real life (for the first time!) in our a pop up & warehouse sale. 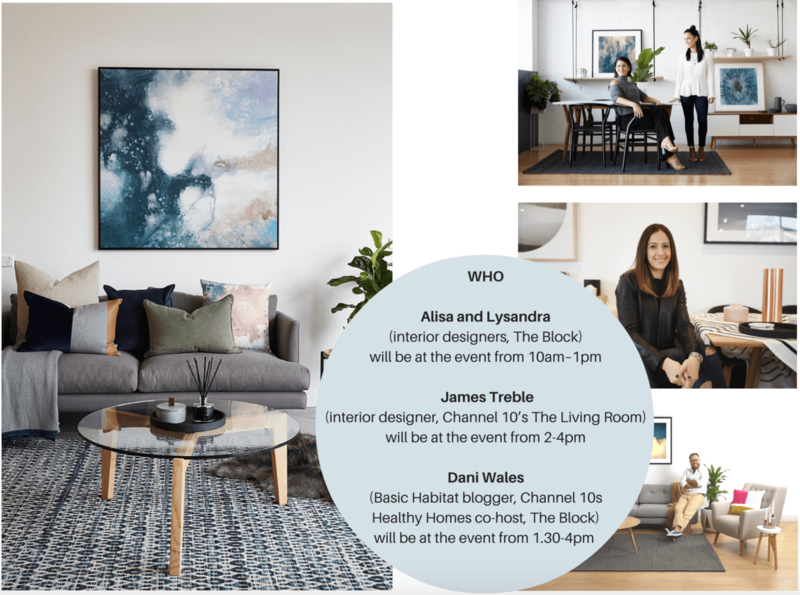 During the sale, you will have the chance to meet with United Interiors’ designer collaborators The Block’s Alisa and Lysandra and The Living Room’s James Treble, and pop up partner Dani Wales of Basic Habitat. 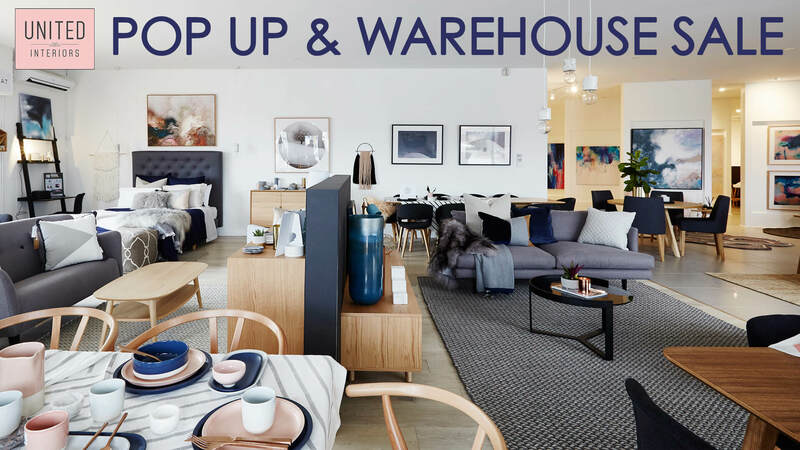 They will be dropping by during the warehouse sale to offer their interior styling advice and for some photo opportunities! 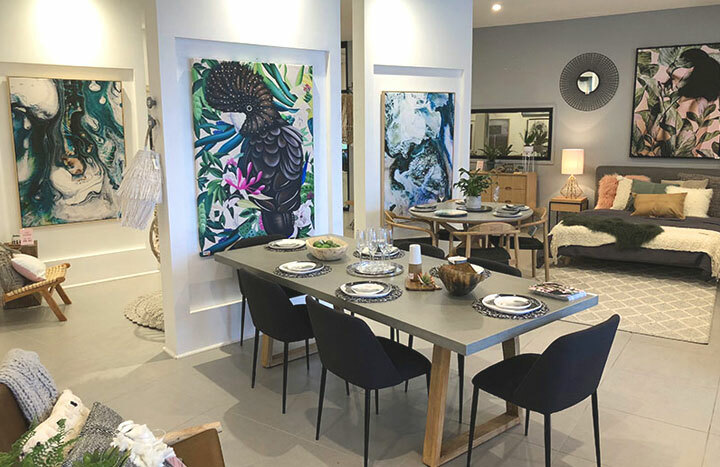 We are playing host to Basic Habitat’s ‘shop in shop’; a carefully hand-picked collection of homewares and accessories by ex-Block contestant, Healthy Homes TV presenter, interior designer and renovator Dani Wales. 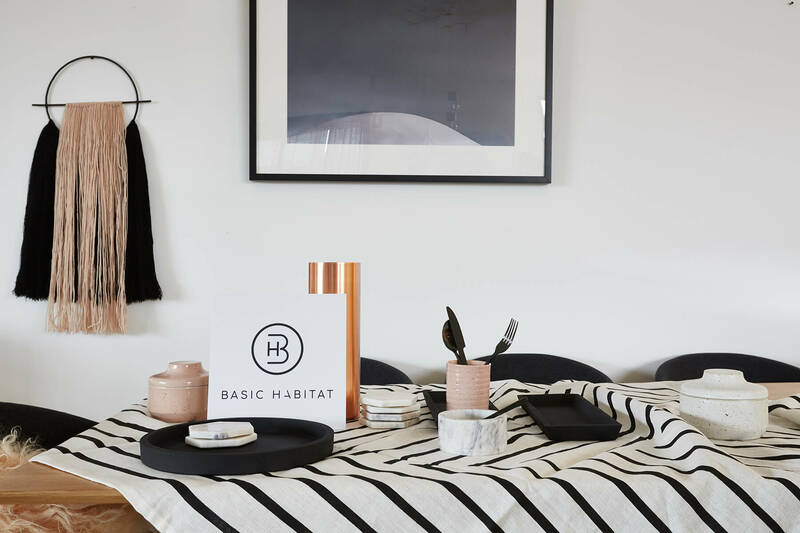 In a world-wide exclusive, Basic Habitat will be offering very limited numbers of yet-to-be-released bedroom sets by cult international linen label Mikmax (they are not yet released anywhere else in the world!). Available exclusively at the Basic Habitat shop-in-shop. 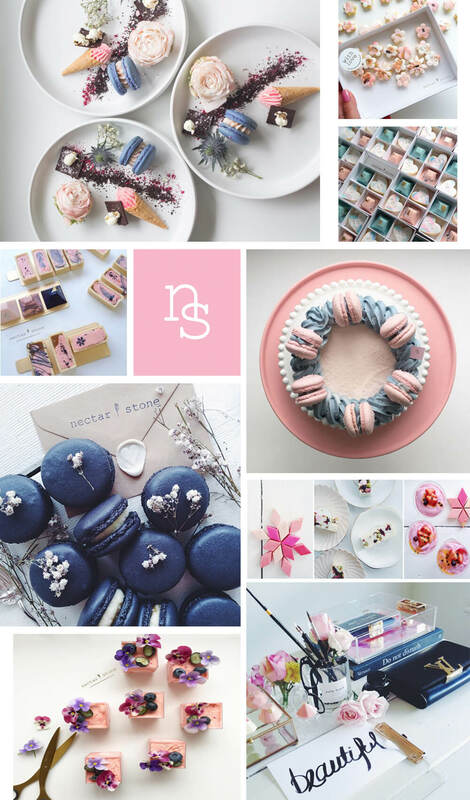 Insta-famous dessert artist Caroline Khoo of Nectar & Stone has created 100 individually boxed chocolates to GIVEAWAY to the first 100 customers that walk through our doors! It literally is first in, best dressed. Perk Me Up’s coffee cart will be stationed outside the showroom to ensure shoppers are well fuelled for some serious retail therapy. 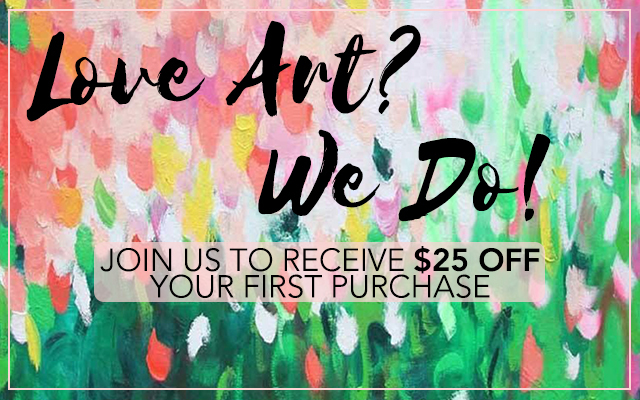 We look forward to seeing you there for some serious retail therapy!